A bike rally was conducted spreading the message ‘HIV Aids Go Away’ which included college students holding banners and balloons with ‘HIV GO AWAY’ written on them. The campaign also educates about available facilities for the pregnancy of HIV+ women with the right medication and treatment. The campaign also held an event to promote the use of condoms and saw the participation of eunuchs in large numbers. MedscapeIndia organised HIV Fashion Show for fundraising which witnessed the appearance of many well-known celebrities. 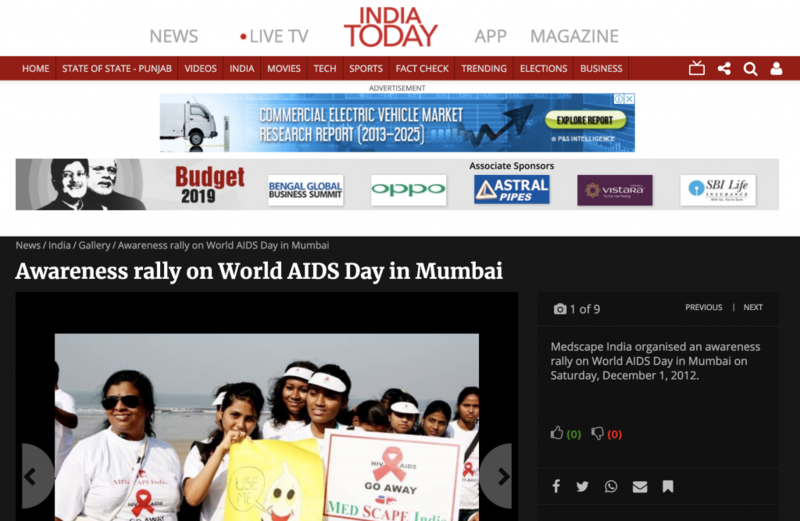 On 1st December 2014, organisations working with groups vulnerable to HIV Aids came together for an event organised by MedscapeIndia to commemorate the World Aids Day 2014.